Double win for Alfa Romeo at the “Motor Klassik Awards 2019”. The readers of the important German magazine named the current Alfa Romeo Giulia “Future Classic” in the “Mid-Size Class” for the fourth time in a row. According to readers, the sporty Italian sedan in a few decades’ time will become a timeless classic just like its namesake launched in 1962. 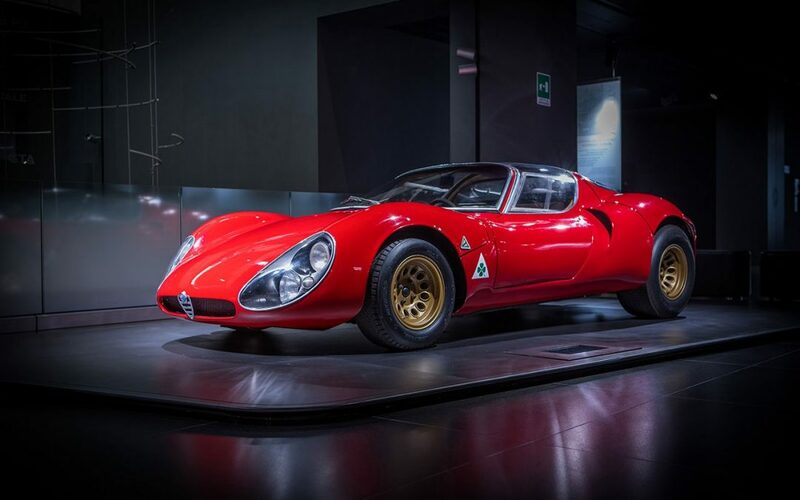 Furthermore, the Alfa Romeo Tipo 33 Stradale won in the “Milestones of Design” category. The coupé of which just 18 were made in 1968 has been considered one of the most beautiful sports cars ever made by enthusiasts for some time. The “Motor Klassik Awards 2019” were voted by over 16,000 readers. Alfa Romeo Giulia was named “Future Classic” in the “Mid-Size Class” with 33.4% of the votes, while the Alfa Romeo 33 Stradale was named “Milestone of Design” with 37.3% of the votes. The “Motor Klassik Award” won by Alfa Romeo Tipo 33 Stradale was handed to Roberto Giolito, head of the FCA Heritage department. “The history of Alfa Romeo is packed with design icons. If we were to choose one, it would be the Tipo 33. I am proud to receive the accolade of “Milestones of Design” from the readers of Motor Klassik and I am honoured to represent the team that created this one-of-a-kind coupé in 1968″, he commented. The Alfa Romeo 33 Stradale is a masterpiece created by legendary designer Franco Scaglione. The coupé is just 99 cm high and has vertically opening doors. It was designed to be street-legal (hence the name “Stradale” meaning road or street), but technically it was based on the racing version of the car. The two-litre V8 was mid-mounted cylinders and delivered a remarkable power of 230 HP, reaching a top speed of 260 km/h which was impressive for its time.